The auditorium hummed with chatter right before the first meeting of American University’s March For Our Lives chapter on the evening of Wednesday, March 20. The voices of the new chapter’s board members rang in Kerwin Hall’s room 1 as they discussed policy agendas and opportunities for action. The gallery at the Center for Contemporary Political Art, on the other hand, remained nearly silent in the Walls of Demand exhibition on the morning of March 2. Featuring art focused on gun violence in America, the gallery did seem to encourage idle chatter from the visitors who trickled in from the street outside the Gallery Place/Chinatown metro stop. The two organizations’ approaches to gun violence activism stand in stark contrast to one another. Visitors to the Center walk in the front door to see a piece confronting them with a ghost: Joaquin “Guac” Oliver. He was one of the 17 killed during the shooting at Marjory Stoneman Douglas High School in Parkland, Florida on Feb. 14, 2018. His father, Manny Oliver, created the graffiti-style piece. His contribution to the collection, which includes several street-art murals and one sculpture, intends to give his son a voice. The murals were first created for and set up at various demonstrations for gun violence prevention efforts around the country. Next to Guac’s portrait, the piece by the door includes a list of other mass shootings and the number of victims. According to Strongin, this sets the stage for visitors to understand both the deep grief and the broad purpose that the Walls of Demand collection intends to convey. The personal mixes with the political for many involved in gun violence prevention advocacy. Charles Krause, the Center for Contemporary Political Art’s founder and retired foreign affairs correspondent, was shot and witnessed multiple gun deaths while reporting on what became the Jonestown Massacre in Guyana. Margi Weir, the exhibition’s other main contributing artist, had two friends die in a gunfight over an abandoned house in Detroit, according to the exhibition’s program. Freshmen dominated the chapter’s first meeting, which had 40 total attendees. MFOL AU co-founder Ben Holtzman said that many freshmen may feel such a personal connection to the issue because the Parkland shooting occurred during a majority of those students’ senior year of high school. Outreach efforts by DC March for Our Lives chapters at the Parkland students’ speaking event in October yielded an email list with over 300 AU students. Both Holtzman and Frank saw the event as a sign to renew their activism efforts; both freshmen had been heavily involved in gun violence prevention movements in high school. After months of work, they gained official recognition as a campus club on Feb. 28. They intend to capitalize on the AU student body’s passion and interests. Recognizing that many AU students are driven by these issues, the two see the chapter functioning as a connection between students and opportunities to affect change. 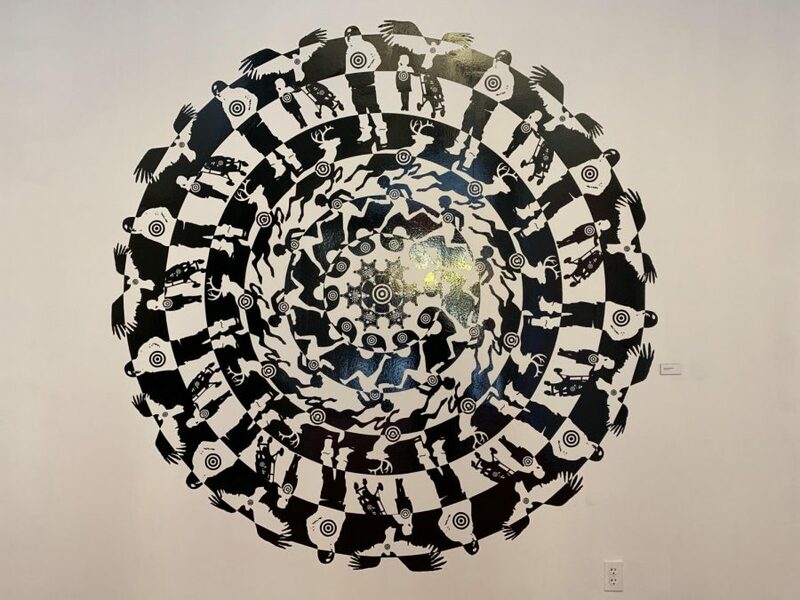 Similarly, the Center for Contemporary Political Art’s mission “to inspire needed social and political change through the power of art” means they strive to connect artists’ messages with all types of visitors in the capital. Several high-profile Members of Congress attended the Walls of Demand opening night on Feb. 12, including Rep. Debbie Wasserman Schultz (D-FL) and Rep. Nancy Pelosi (D-CA). Since then, the Center has seen such interest that they extended the exhibition’s showing to April 14. It was originally planned to close a month earlier. The March for Our Lives AU Chapter founders echoed the sentiment of inclusivity.